Taking an etymological look at the word "bazaar", one would be surprised at the varied facts about its origin. The first bazaar was evidently established while several people gathered to exchange their surplus goods. In other words, a bazaar is a place for the exchange of merchandise, foodstuffs and services between two or more people. Yet, bazaar has an expanded definition. It is a network of bargains between salespeople and customers. To put it in a nutshell, a bazaar can be clearly defined as the organized concentration of a current of exchanges by an assembly of salesmen and customers at a certain venue, fostering contacts to exchange goods and services. Presently, the word bazaar has grown to cover any place of exchange. But for a Persian reader, the word connotes a long narrow roofed labyrinth, featured by shops and caravansaries on both sides. 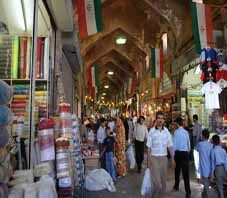 A review of Iran's economic and social history indicates that the bazaar has always been a pillar of civic foundations. No town could survive without a bazaar--whether big or small. Some have allegorically described bazaar as the economic heartbeat of the Iranian cities. The ancient Iranian bazaars have gradually evolved into an encompassing section of the town. A bazaar was not a secluded section of the town, but home to a wide spectrum of goods and services, sought by the townspeople. As the bazaar shops fell short of meeting the people's needs for goods and services, several arcades, specialized outlets and service. Provides were established to create a bazaar consisting of a central emporium surrounded by several smaller bazaars and arcades. Nearby the bazaars, there were always other public services such as baths, schools, mosques, Saqqa Khanehs (traditional drinking place), Zoor Khanehs (gymnasium for wrestling of wrestling and athletics typical of the Greek palaestra), teahouse, and others. This types of complex met the people's religious, social, economic and cultural needs. Among important and major emporiums are the traditional bazaars of Vakil in Shiraz, Qeisariye in Isfahan, and those of Yazd and Kerman. Vakil Bazaar is a monumental structure set up by the founder of the Zand dynasty, Karim Khan (1747-79 AD). The cornerstone of the site is laid by a number of huge rocks, surrounded by four bazaars, and constructed by brick and gypsum. The bazaars meet at a cross point, which has a high dome-shaped ceiling. 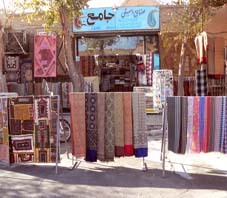 Some archaeologists believe Karim Khan himself designed the bazaar, without imitating any foreign model, pioneering a unique pattern for other Iranian marketplaces. Others argue however the Vakil bazaar is a spin-off of the great emporium of Larestan, built at the helm of Safavid King, Shah Abbas I's rule. Ruins of the Larestan bazaar still remain in place. Yazd's bazaar is one of the oldest and most interesting historical places of the central Iranian town. It is commensurably equal in significance and grandeur with the Yazd grand mosque. The bazaar is a major center for bargain and the exchange of goods. Though in ruins, the remnant bazaar's niches and domes are a reminiscent of a glorious past. Like the Vakil bazaar, the Yazd bazaar is home to a branch office of the former Royal Bank. There is no complete information, however, as to when or who established the bank branch office. During the past years, the bazaar was a major hub for trade, containing several key industries such as textiles, saddlery and shoemaking. Even customers from outside Yazd frequented the emporium. The invasion of mechanized industries however, has played down the role of some of the traditional businesses lying at the heart of the bazaar. Since the ramparts of the "old" Yazd is located north of the bazaar, it may be concluded that the bazaar had been erected somewhere outside the town. During the summers, the weather in the bazaar is moderate, whereas in winters it is cold. 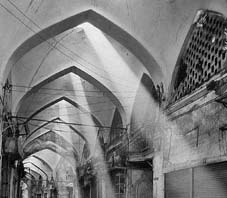 There are some inlets all over the bazaar ceiling which let in limited beams of light. 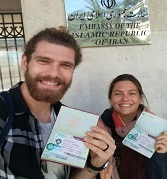 In Isfahan, the bazaar forms a part of the Imam Khomeini (former Naqsh-e Jahan) Square, which is one of the largest and most beautiful squares in the world. The square, 500 x 160 meters, was set up in the second half of the 16th century AD by the Safavid King, Shah Abbas I. At the time the square was used for a variety of purposes including as a polo field. Ruins of the opposing polo goal bars, engraved into stone still stand in front of the bazaar gate and the Imam (former Shah) Mosque. South of the square lies the Imam Mosque, facing the bazaar on the north. Ali Ghapou monumental compound on the west and Sheikh Lotfollah Mosque on the east occupy other sides of the square. 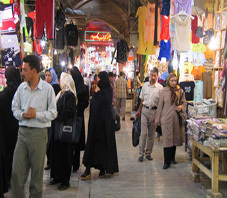 The Isfahan bazaar is briefly described as a district consisting numerous streets with stores on both sides connected together, under a high-rise roof. Some of the arcades, including the textiles bazaar and the Qeisariye market, have been ornately designed, thanks to their proximity to the royal palaces, and the famous mosques. Surrounded by four intersecting outlets, the shops of the Qeisariye bazaar are made of stone and built two-storied. The floor of the shops are entirely stone-carpeted and the roofs brick-made. There was a royal coin mint in the Qeisariye bazaar dubbed the "Imperial House". 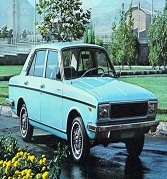 Historians say the mint was the only one of its kind in Iran. The goldsmiths' bazaar, which was built during the reign of the Safavid King, Shah Abbas I, was connected to the coffee bazaar, run by Kashani traders, through the canvas bazaar. The coffee bazaar branched out into four smaller marketplaces, one of them named Dar ol-Shafa. Other bazaars of Isfahan are the gun-makers' bazaar, flanked by the samovar-makers' bazaar and the flint-makers' bazaar. The two are sometimes commonly described as fencers' bazaar. 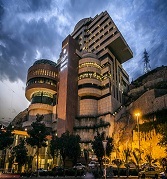 Tourists have described Tabriz as a city with beautiful bazaars. 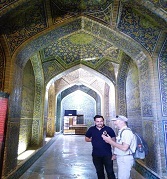 Tabriz's bazaar is comparably one of the greatest and most beautiful bazaars of Iran, characterized by its unique architectural style, numerous arcades, shops and magnificent mosques. Tabriz's bazaar is as old as the city itself. As Tabriz was located en route the trade caravans arriving from the east and west, its bazaar was the focal point for the exchange of Asian and European goods. 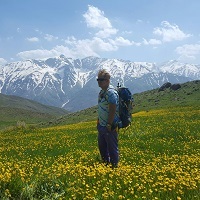 With the expansion of Tabriz, its bazaar has grown so beautifully that it won the plaudit of many visiting foreign tourists. Moroccan tourist Ebn Batute, who visited Tabriz in the early years of the 14th century AD, praised the Tabriz bazaar as a developed market filled with goods, and one of the best in the world. "... Upon arrival in Tabriz, we approached a great bazaar named Qazan. It was the best bazaar I had ever seen in the world... Each of the guilds and professions had a special corner in the bazaar," he wrote in his travelogue. The famous bazaars of the Tabriz emporium were Amir bazaar, the shoemakers' bazaar, foreign exchange bazaar, Raste bazaar, Naminiduz bazaar, weavers' bazaar, cotton-carders' bazaar, Qezbas bazaar. and saddlers' bazaar. The arcades were often the centers of wholesale business deals and distributions. 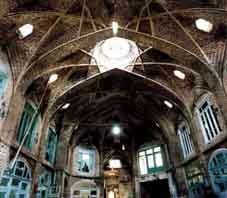 The most important of which Hajj rasoul arcades was Rasoul, opened to the glass blowers' bazaar and to Tarbiyat Street.Along with its trade significance, the Tabriz bazaar is one of the masterpieces of the Iranian architecture, decorated with magnificent stuccos and high arched roofs. 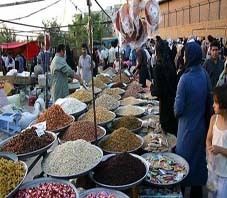 Along with the permanent bazaars existing in the Iranian towns and cities, there are also some occasional, say, weekly markets which were erected in a special district and were generally named after the day on which they were regularly opened, such as Friday bazaar or Saturday bazaar. Rural salesmen and vendors usually put up the weekly bazaars. The weekly flea markets offer a variety of merchandise at reasonable prices. 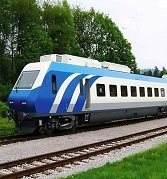 They are often packed with customers, a determining factor that insure their survival. Hawkers and peddlers also spread their wares alongside the pavements and around the squares, calling on the window-shoppers to come closer and touch the quality of the merchandise.